Made in 48 hours for Ludum Dare 43 "Sacrifices must be made"
Grow your colony of frogs by allowing them to eat fruits and leaves. Frogs create a clone when they eat. 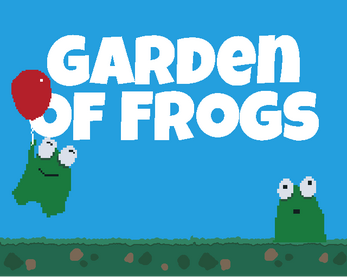 Pop balloons by clicking them to stop your frogs from overeating. Frogs who don't eat will die. But sometimes, sacrifices must be made. The tree will stop making fruit if it runs out of leaves. The game ends if all of your frogs die or your tree runs out of leaves. Try to make the biggest colony possible and survive the longest! There's a lot of interaction here re: the growth rate of leaves, berries, and frogs. I haven't done the math so I wouldn't expect it to be super balanced. If you've got suggestions or tips I'd love to hear them!